Yesterday, while finishing up work on the Exploration of Io article on Wikipedia and looking for a graphic for the Jupiter Europa Orbiter (JEO), I noticed that a SPICE trajectory file for JEO had been posted online. The Jupiter Europa Orbiter is NASA's portion of the Europa/Jupiter System Mission approved last year. I can use the SPICE kernel to display the position of the spacecraft at a given time in Celestia. The trajectory file covers the Jupiter tour portion of the current mission baseline, though obviously a number of factors between now and the arrival of JEO at Jupiter will cause changes to this baseline, including changes in the launch date (assumed as February 2020 with an arrival at Jupiter in December 2025). So, as of right now, these provide more of an example of the types of flybys JEO can perform at Io. I've created a little video and uploaded it to Youtube with animations from Celestia simulating each of the four Io flybys in the current tour. You can see some of the highlights from each encounter, though note that no science is planned for the first encounter (Io-0) as it takes place right before JEO's all-important, Jupiter Orbital Insertion burn. For Io-1, on July 9, 2026, JEO passes almost directly over the Amirani plume, and depending on how high gases from the volcano reach, it could directly sample the composition of it. 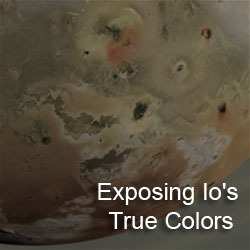 JEO can also image the north polar region of Io from an oblique angle. 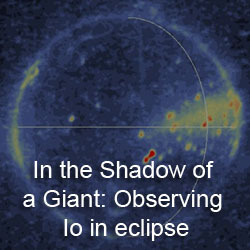 However, Amirani's plume is ~75 km tall, while the altitude for Io-1 is 300 km. 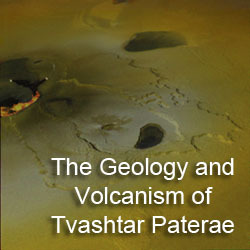 For Io-2, on September 3, 2026, JEO should be able to image the Pele volcano and south polar region at high resolution. In the latter case, this is the section not covered by Voyager 1 at medium resolution. The Zamama, Marduk, Prometheus, and Pele plumes will also be visible along the bright limb near C/A. Finally, for Io-4, JEO will pass directly over Tohil Mons providing a chance to obtain laser altimetry over a mountain we have pretty good stereo coverage already, providing a useful comparison. I wrote up a more detailed article on the potential science from each of these encounters last February. I hope you all enjoy! I should point out that this video was uploaded at 720p so you can view it in high-definition, and this definitely works better if you view it full screen. Great simulation! One question: where's flyby Io-3? The flyby numbers are based on the orbit number. During orbit 3 in the current tour, JEO encounters Callisto, not Io. Oh I should also point out (and I've added this to the article now, a blog post I wrote up last year with a bit more detail on the types of science that will be acquired on each flyby. I assume by your question that you mean where can you find the music track. You can go here http://ccmixter.org/files/mika/24945 . It is by a user named mika and the track is called "Fall to Pieces - Silence", released under a Creative Commons licence.